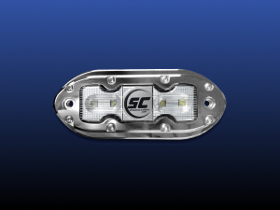 Shadow-Caster SCM-4 is a single color LED underwater light that comes in 5 vibrant colors. Bimini Blue, Ultra-Blue, Aqua Green, Great White, Cool Red. It produces up to 1,000 lumens of light while drawing a measly 1.4 amps of current at 12 volts. 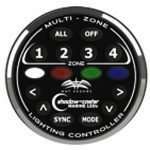 Shadow-Caster single color lights are operated through a simple On/Off Toggle switch.